If you have been a fan of Microsoft’s Windows operating systems in both computers and Smartphones, you must know about the upcoming release in the series, called ‘Threshold’. Though ‘Threshold’ may not come out to be its original name on its official release, it was used as a codename for the operating system under development in internal email conversations. How desperately are you waiting for the official release of Windows ‘Threshold’ version? Well, I can measure the level of your desperation from your decision to push back you plan to buy a new Windows computer. However, prior to the official release of ‘Threshold’, it is quite difficult to predict how much the consumers will appreciate Microsoft’s work of this season. Undoubtedly, I do not want to assume the level of appreciation Windows 8 gained earlier. On the other hand, I really hope the newer version will bring some never seen before features and considerable improvements in the previously added ones. You might wonder that it has hardly been a year to release of Windows 8.1, and the news for the upcoming release of another major version of Windows is being rumored. Well, I must tell you that Windows 8.1 was not a complete new version of Windows; however, it was a major update for the earlier version of Windows (i.e. Windows 8). Anyway, the newer version is still in the works, and it most likely will be released by spring 2015. So how many of you will be going for the newer version? Well, it is quite difficult to expect the users looking for upgrading to a newer version of Windows after its official launch. In fact, I actually cannot assume the total of the number of Windows users from different corners of the world waiting for Threshold to launch officially. However, all I can do for consumers as well as for Microsoft keep everything that is supposed to be a secret, a secret indeed. As I mentioned above, you cannot even consider the codename ‘Threshold’ to be the final name for the upcoming version of Windows operating system. According to company officials, ‘Threshold’ is a codename given to Microsoft’s latest release in its series of operating system, Windows 9. Well, the word is derived from the name of the planet developed by the first Halo ring in the original Halo game. Besides, the name ‘Threshold’ does not refer to individual operating system, but a series of Windows operating systems, excluding the fused Windows RT and Windows Phone OS. In fact, the series of Windows operating systems, which is being referred to, comprises of operating system on which several Windows-based phones and other like devices are running. Anyway, let me update you over the likely release of this major version of Windows is in spring 2015. 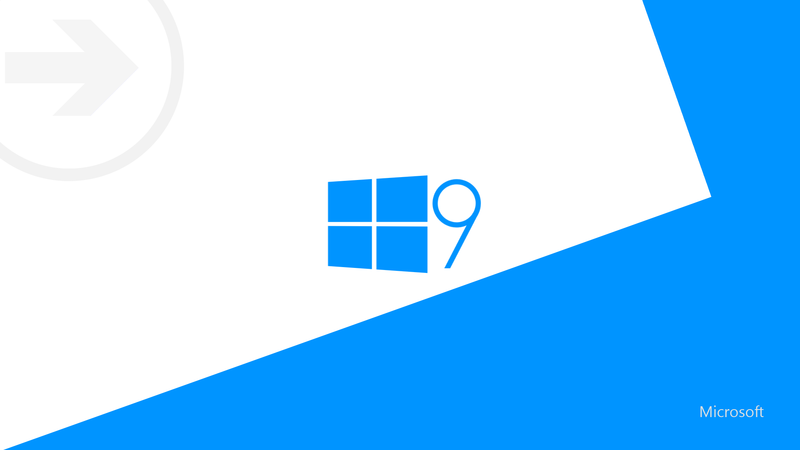 However, an update for Windows 8.1, namely ‘Update 1’ is almost ready for its release in spring 2014, which most likely will coincide with the release of Windows Phone 8.1 Blue. With this, you can also wait for the launch of a brand new series of Window Phones running on Windows Phone 8.1 Blue operating system. Since Microsoft now deals in Windows smartphones previously marketed by famous telecommunication equipments, Internet, and computer software company Nokia (based in Finland), you undoubtedly can think of rapid upgrades in the operating systems’ versions at certain intervals. Therefore, I suggest pushing back your plan to upgrade to a brand new Windows Phone. As far as ‘Threshold’ – the latest version of Windows operating system is concerned, I must say that nothing is released officially, not even the name itself.